With a scientific name like Theobroma, which means "food of the gods," it's no wonder that the world can't seem to get enough cocoa. You can trade cocoa using spread betting, binary options, CFDs or future contracts please below find different cocoa options and brokers. Cocoa’s humble beginnings can be traced to the Aztec empire, in South America where it was blended with various exotic spices, and served as a luxury drink. It was then known to as the fruit of gods. 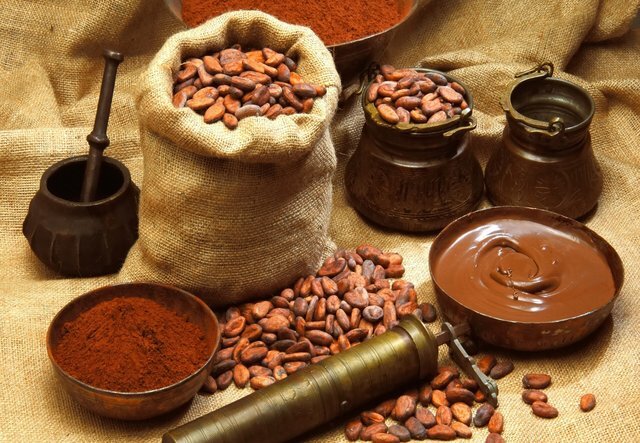 In the 16th century, cocoa plants were taken to Spain by Cortex and his conquest. It then became an exclusive drink in the Spanish royal court before achieving wide popularity in the cocoa houses of major European cities. Production is highest in the Ivory Coast, Ghana, and Indonesia which when combined accounts for approximately 70% of the global harvest of cocoa. Other prolific cocoa producers are Brazil, Colombia, and Malaysia. A few companies such as Callebaut, Cargill and Archer Daniels Midland Company dominate the chocolate industry. Any changes in their cocoa buying strategies can lead to cocoa price fluctuations. When buying a CFD on cocoa and the price increases, the difference between the entry and exit price is positive. The difference translates to your profit. If the opposite happens and by close of trade the difference is negative – you suffer a loss. You can buy (go long) or sell (go short) without having to own the actual cocoa. Margin and leverage allow traders to move bigger quantities of cocoa but at a higher risk. When trading commodities with CFDs, the price movement is based on other factors other than the ones that influence the currency market. Commodities are paired with the USD or other currency pairs to compare price movement. Often times the USD will strengthen in one period but the cocoa price, for example, may move downside against a weighted currency basket. Cocoa has one of the smallest markets for spread betting commodities. In short-term trading, political instability can affect prices. It’s advisable for traders who do much spread trading to stay abreast of world news especially from cocoa producing areas. In the underlying market, commodities trade in large lots called contracts. In spread betting, instead of buying or selling contracts, you wager cash per point of movement in the basic price of the contract. A spread bet can gain from leverage, by paying a small deposit in comparison to the full amount of your bet. Commodities futures such as cocoa are traded on specific exchanges around the world. They have the buying and selling prices of the underlying market. Brokers add their own spread on top of the prices as the charge for dealing in that market. The spreads fluctuate throughout the trading day in relation to market conditions. When spread betting cocoa, you’ll pay a margin which is equal to a small portion of your position’s value. The London Cocoa futures contract has been using the global benchmark for the pricing of physical cocoa. Some of the players who trade in coca include producers, exporters, trade houses, processors, chocolate manufacturers, managed funds, institutional and short-term investors. The cocoa futures sector doesn’t witness large erratic jumps, though investors are advised not to underestimate cocoa’s potential. Cocoa is easily influenced by various political fractions such as the recent civil war in Ivory Coast. Such political instability can cause cocoa’s prices to swing sharply overnight in an erratic way. Such dizzying swings can confuse novice investors and often leave them with huge losses. It’s important to keep up with current world news as one small misstep can wipe out your entire fortune. Nevertheless, cocoa has been traded successfully over the years with highs of $5,300 a tonne in the 1970s to record low levels of $2,000 a tonne in the early 2000s. A typical movement of $250 to $450 is positive. As a result, cocoa trading is not an easily tradable commodity and is not suited as a day trading vehicle. Cocoa options are also cumbersome to enter and exit. Being the first commodity to trade in the morning, trading is open for a few hours between 8.00 A.M to 11.50 A.M. Note that most rapid movements and the biggest jumps occur during the first opening hour of trade. Originally blended as a drink for royalty, cocoa is now common in a variety of products such as lotions, beverages, and confections. The demand for cocoa is global but its supply is limited to a few regions where its cultivation faces a myriad of challenges. The lack of balance between supply and demand and cocoa’s long maturity period creates room for price discovery. Today, cocoa trees are predominantly grown in West Africa, primarily processed in the Netherlands and the U.S., and cocoa is consumed in one form or another by every country in the world.